The shrine of Ars is a precinct of religious heritage relating to the Curé of Ars St Jean-Marie Vianney (1786-1859), the patron saint of priests, who was renowned as a confessor and counsellor at Ars from 1818 to 1859. 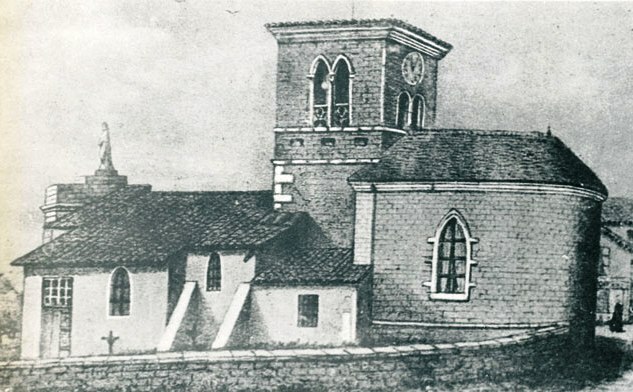 In the 1860’s, the Curé’s old church was incorporated into a larger Basilica building designed by Pierre Bossan (later architect of the famous Basilica of Notre-Dame de Fourvière). The preserved remains of the Curé’s body are held in a glass casket in the Basilica. His heart is in the Chapel of the Heart (Chapelle du Coeur). Statue of the Curé of Ars (St Jean-Marie Vianney), Chapel of the Heart. Eymard was a close friend of the Curé St Jean-Marie Vianney, who had strongly encouraged him in his desire to form religious congregations devoted to the eucharist. The Curé agreed to become a member of Eymard’s Third Order of Mary and he recognised Eymard as a ‘great saint’. In a meeting with Marguerite Guillot at Ars in 1858, the Curé said of Eymard’s work: ‘The world opposes and hinders it, and does not understand. But it will succeed; it will persevere’. It was a cry from the Cross, and the Curé cried on hearing Eymard’s words. And then the wise old priest reminded Eymard that he did not need his prayers to God. The two men embraced. It was the last time that Eymard ever saw his friend alive. Sanctuary of the Basilica at Ars. The preserved remains of St Jean-Marie Vianney are located in the Basilica at Ars.